We currently have a weekly Torah study on Saturday at 11am, 818 Waco Street San Marcos, TX 78666. We anticipate more activities will be added in the future. 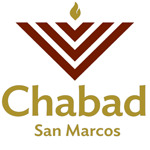 Follow us on Chabad of San Marcos & Texas State for changes or additions to our activity schedule.